As you navigate the labyrinth of streets in Paris, consider that an even more complex second city lies beneath your feet. You probably already know the basics. The catacombs are an underground cemetary, part of the carrières de Paris, or quarries of Paris. 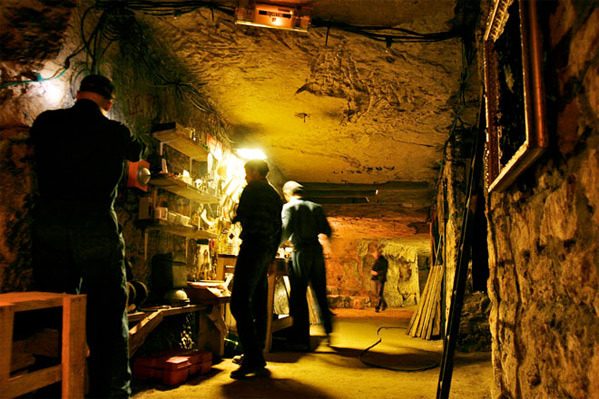 Of the 200 km long network of tunnels, the catacombs make up the 1% of the carrières that are open to the public. 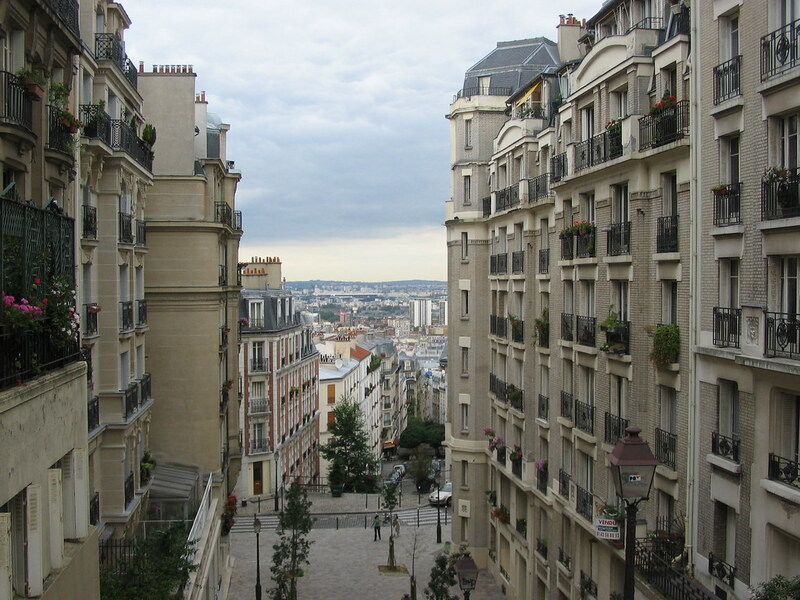 You can thank the catacombs for your unblemished view of the Parisian skyline, devoid of tall buildings. Located directly under the city streets, the catacombs make large architectural foundations nearly impossible to maintain. 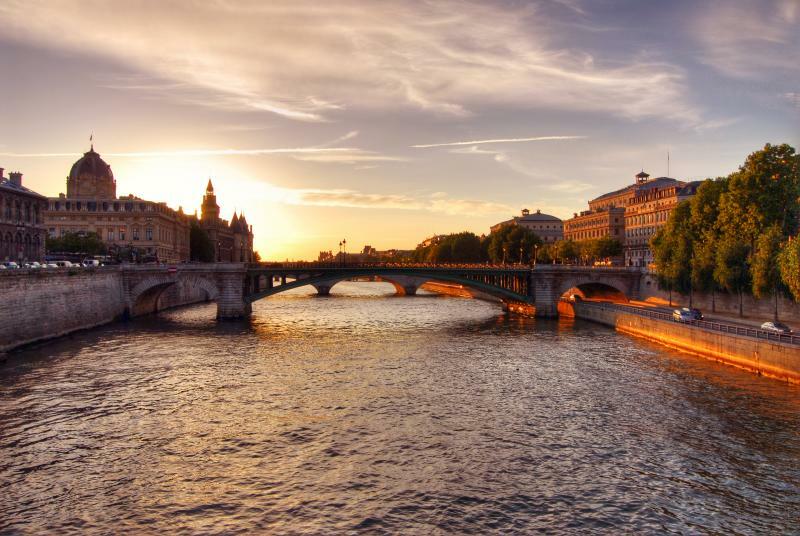 The catacombs are responsible for Paris’ distinct, uniformly beige appearance. Originally established as quarries, the catacombs were the sole source of limestone used to build the city and its famous monuments, including the Panthéon, Gare de l’Est, Place de la Concorde and Notre Dame. 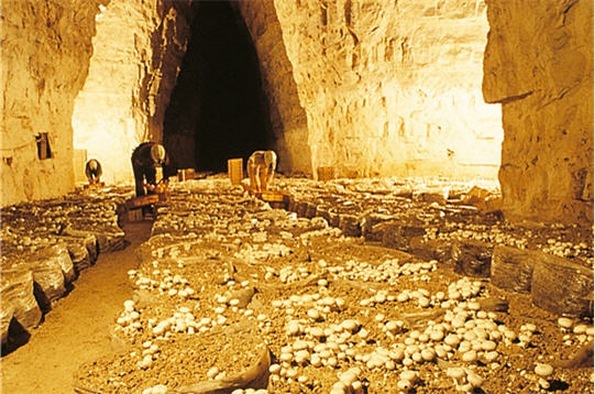 After the limestone quarries were abandoned, the catacombs were used as farmland by over 100 champignonnià¨res, or mushroom farmers, cultivating true champignon de Paris, or button mushrooms. Over 2,000 tons of these gastronomic delicacies emerged from the tunnels every year, starting in the early 1800s. In the 1970s, construction of the métro drove the last remaining farmers into the tunnel’s suburban outskirts, where a few still operate today. A special police force called E.R.I.C. patrol the catacombs to stomp out cataphilia, or the illegal exploration of the tunnels by urban explorers known as cataphiles. Each year on November 3rd, the ghost of Philibert Aspairt, the first cataphile, is said to haunt the tunnels. In 1793, Philibert, doorkeeper of a nearby hospital, descended into the catacombs in search of a storehouse of Chartreuse liqueur. Eleven years later, his remains were discovered, only identifiable by the hospital key ring dangling from his belt. Today, Philibert is popularly celebrated as Protector of the Cataphiles.